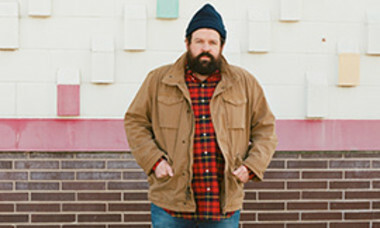 Donovan Woods has become a frequent name in music, an acclaimed writer who has penned songs for artists such as Tim McGraw, Charlie Worsham, Charles Kelley (Lady Antebellum), and Billy Currington, while amassing a catalogue of rousing and well-received music of his own. We are proud to support the ongoing work of Donovan Woods, a phenomenal talent, and echo NPR Music’s description of his writing "There are very few writers who can make you laugh and break your heart in the same song." Today Rolling Stone premieres the dreamy new video for Donovan Woods latest release All Mine. Speaking with Rolling Stone about the song, Woods describes "It's kind of like that first healthy day after having a cold. Or when you get a new haircut that you quite like, that's a similar feeling. The world feels kind of new. It's a trick, but man it's lovely. The video, shot by the inimitable Matt Barnes, is about two excellent looking young people absolutely in the throes of that trick. In love with the moment. Our hope is that it would be a joy to watch, and we hope you like it." You might recognize Matt Barnes’ work from Massey Hall & Roy Thomson Hall’s Soundboard Magazine covers, Classic Albums Live photography as well as his work with artists and campaigns around the world. We are excited to share the video with you today and hope you enjoy it as much as we do! Check out the video below and share with your friends.